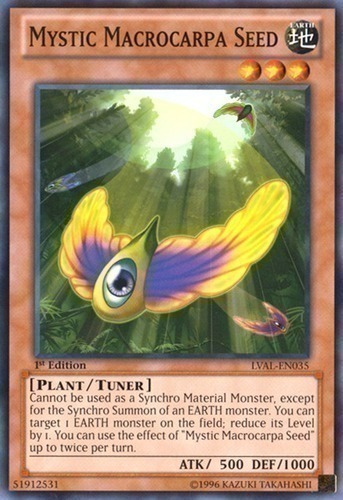 Cannot be used as a Synchro Material Monster, except for the Synchro Summon of an EARTH monster. You can target 1 EARTH monster on the field; reduce its Level by 1. You can use the effect of "Mystic Macrocarpa Seed" up to twice per turn.